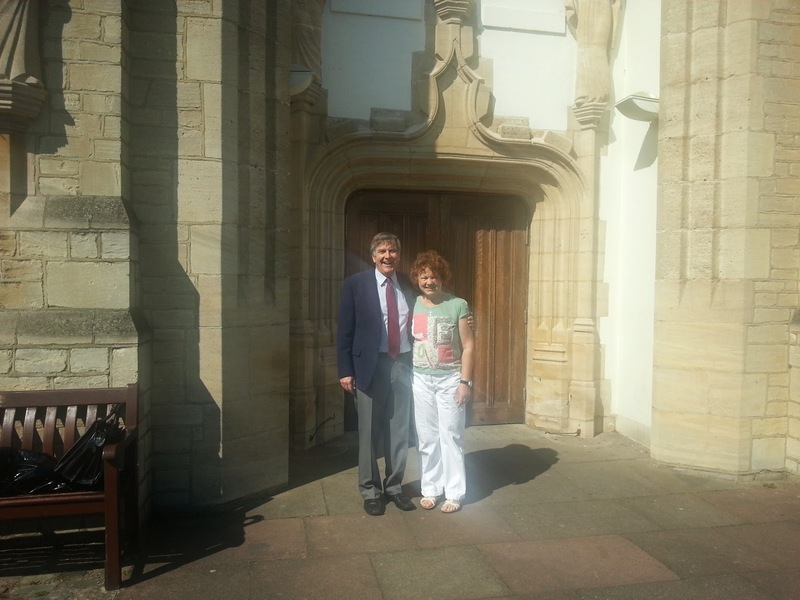 Josephine and I celebrate our 30th wedding anniversary by going to Mass at St Joseph's, Wealdstone, where we are pictured here today. 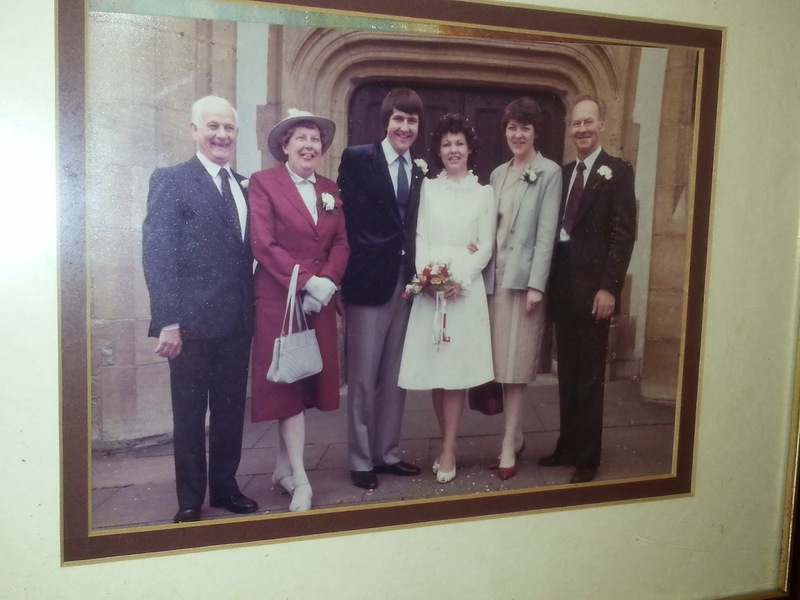 The second picture taken after our wedding in the same spot features my late mum and dad, Margot and Jack, to my right, and Josephine's sister, May, and Josephine's late dad, Mick Clarke. Sadly, Josephine's mum, Josie, had died seven years earlier. God rest all our parents this happy, sun-filled, day.